Our healthcare system is self-destructing, a fact made more obvious every single day. A few years ago, a number of brave physicians who were fed up with administrative burden, burnout, and obstacles to providing care for patients started a movement –known as Direct Primary Care (DPC.) This is an innovative practice model where the payment arrangement is directly between a patient and their physician, leaving third parties, such as insurance or government agencies, completely out of the equation. The rapidly growing number of DPC physicians have organized into a group called the DPC Coalition (DPCC); suddenly, the Centers for Medicare and Medicaid (CMS) is paying attention. As of February 2018, there are 770 DPC practices across the United States with new clinics opening each week as brave physicians leave the “system” behind, never looking back. Breaking free from the chains of insurance and government, this group is restoring the practice of medicine to its core, a relationship between a physician and their patient. CMS understands there is a problem with the way Medicare services are being delivered to tax payers; it turns out their idyllic version of “high quality” care is not as affordable as they predicted. All evidence indicates the DPC model is not only capable of generating significant cost reduction, but also saving the federal government billions if administered on a large-enough scale. As fewer physicians accept Medicare and convert to DPC practices, CMS wants a piece of the pie. CMS has chosen to hold focus groups in four cities, two meetings occurred in Boston and Dallas this past week; two more will be held in Denver on February 19th and 20th, and in Seattle on February 21st and 22nd. One day is for independent FFS physicians and the other is for DPC physicians. Last week, questions for the groups were reportedly: “what do you think is wrong with Medicare,” “what needs to change,” and “what will make it better?” I find this approach patronizing as the majority of DPC docs (and many FFS) have OPTED OUT of Medicare entirely. Two physician organizations supporting the DPC model are the American Academy of Family Physicians (AAFP) and the Direct Primary Care Coalition (DPCC.) Representatives from both organizations were secretly present at the “listening sessions” last week, however neither organization openly disclosed the CMS meeting to their general membership. These organizations should work to preserve and protect physician autonomy rather than invite the government to the table and conceal that fact from their membership. DPC physicians already opted out of government control. Why on earth would DPCC and AAFP entertain inviting a third party back into the fold? While some members of AAFP or DPCC might be interested in a Medicare program that incorporates DPC, the vast majority of the small independents are vehemently opposed to this approach. Sun Tzu once said all war is based on deception. Wise commanders take measures to force opponents to react only to the wrong circumstances. Diversionary attacks, feints, and decoys are effective tactics. CMS has incorporated a new one, raising the false flag -- an ancient ploy where ships were permitted to fly the enemy flag, so long as they raised one with their true colors just prior to attacking their foe. One year ago, CMS introduced their “value-based” care model at the listening session I attended. Now, CMS insinuated themselves into the leadership at the AAFP and the DPCC before unveiling their Direct Primary Care Prototype pilot program. DPC physicians are satisfied with their practice model, who asked for a pilot program? CMS has realized they need one. They have designed a prototype which requires that physicians re-enroll in Medicare (capture), accept pre-determined payments of $90-120/monthly based on patient age and complexity (control), and entails submission of patient data for payment (capitulation.) What appears on the surface to be a DPC-friendly endeavor will destroy the system from the inside. The DPC movement offers the first successful and innovative alternative health care approach to emerge in years. CMS is focusing on physician capture, control, and capitulation, yet should not underestimate the fortitude of independent physicians. We are steadfast, experienced in trench warfare, and refuse to succumb to their demands. We will continue to fight relentlessly against mounting administrative burdens which interfere with the provision of patient care. CMS will raise the flag with their true colors before long. 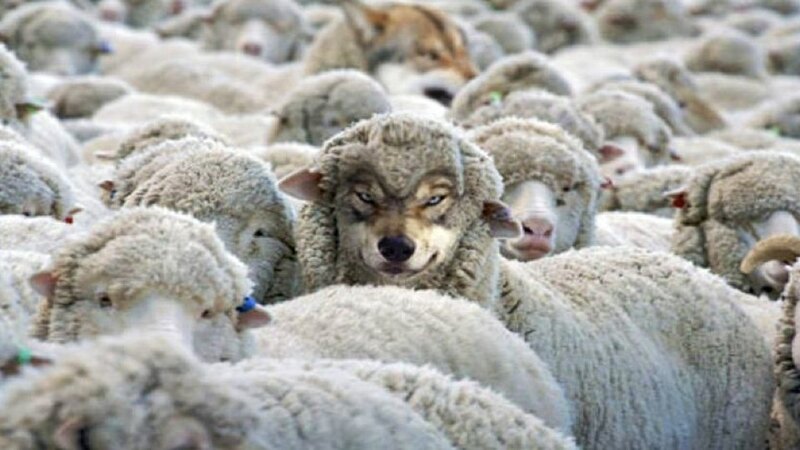 If you own a DPC or micro-practice, do not be fooled by this wolf in sheep’s clothing. Stand strong and remain resolute. Government, insurers, and hospitals will try to silence us, but physicians are absolutely essential to the delivery of proper healthcare. Make no mistake, CMS is the enemy of independent physicians everywhere and our best defense is to have a good offense – leading with transparency to our patients and the public. This post was authored in collaboration with independent physicians who wish to remain anonymous. May the force be with you all in the challenging days ahead.